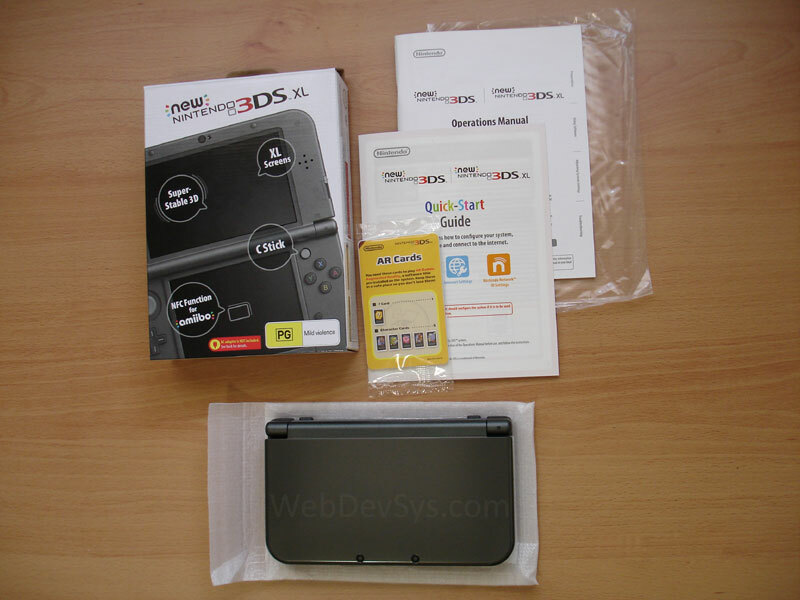 Outside of Japan, Australia and New Zealand were the first countries to receive the 'new' 3DS (hereafter referred to as n3DS). It had a RRP of $219 for the n3DS and $249 for n3DSXL. Australians and New Zealanders should feel special for once - it's not very often that new products get launched here before US and Europe. The n3DS is not due for release in the US until early 2015. Massive crowds and queues formed outside game shops that held midnight release events on 21 November 2014. Pre-ordering was available for months prior. Although not advertised heavily (except via promotonal posters in-store), many DS gamers were acutely aware of the release date of the n3DS. The retail box for the new 3DS is notably smaller than its predecessor. This is due to a deliberate, but major omission: the AC adapter. For some reason, Nintendo seems to think that the majority of customers buying the new 3DS will already own an older DSi/3DS/2DS console, of which use AC adapters that are backwards and forwards compatible with the new 3DS. But that is no consolation to first time buyers, who would need to fork out an extra $15 to purchase the AC adapter separately, once they realise the factory-charged battery had run flat. 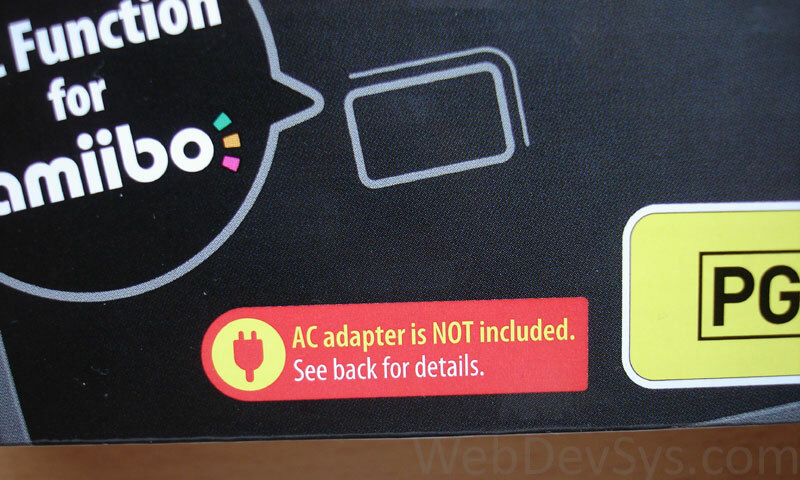 The official Nintendo-sanctioned AC adapter is the WAP-002(AUS). This is widely available from all places that stock Nintendo gear. Of course, for a few dollars, one could always head over to an online auction site to buy a cheap USB to DS/3DS charging cable. It is not clear whether doing so voids the Nintendo warranty. And if users who upgraded want to trade in their old 3DS console (whilst keeping the old adapter for the n3DS), they may be in for a rude shock as some outlets will only accept consoles with the accompanying AC adapter. It will make people think twice about selling their old 3DS consoles, thereby reducing the secondhand market, so Nintendo can clear their remaining old 3DS stock. This move is definitely helping Nintendo fill their coffers. Whilst nearly all (non-Apple) smartphones universally use Micro-USB sockets for recharging, Nintendo seems content with locking its users into their own proprietary connectors. In fact, by not including the AC adapter and slimming down the box, it helps Nintendo reduce their warehouse/storage and transportation costs. Any manufacturer will be looking for ways to increase profits. In all, the value of the n3DS is lower than its predecessor. As one would expect, the small box only holds the bare essentials: the n3DS console itself, a quick start guide, a more detailed operation manual and a set of AR (augmented reality) cards. The console is protected by a sheet foam sleeve. 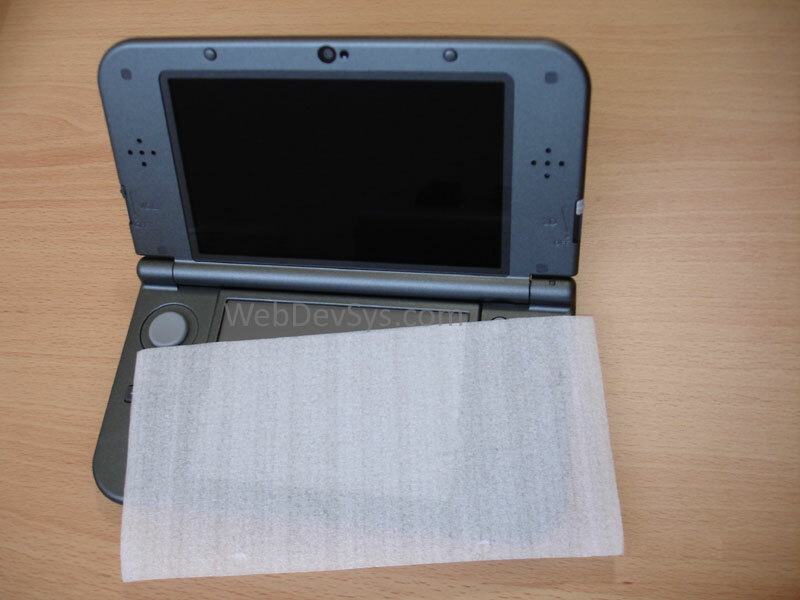 Between the two screens of the clamshell, Nintendo have placed another sheet of foam, possibly to prevent any chance of the screens rubbing against each other and causing damage during transit - a common problem that plagued older 3DS consoles. Could this be a silent admission from Nintendo that, even with the new generation of 3DS, they still haven't figured out how to prevent the screens from rubbing when the console is closed? Nonetheless, users will want to buy a screen protector for at least the lower touchscreen. For systems released in Nov 2014, the software version that comes with the system is 9.0.0-20E. The model reviewed here is the Metallic Black variant. Like the other colour variants, the finish could almost be described as somewhat carbon-fibre like. Under the clear sheen, a fine pattern of diagnoal lines can be seen. The surface is actually quite reflective, but stops short of being a full mirror - reflections have quite a haze to them. One of the most talked about aspects of the apperance of the new 3DS is how easily the plastic body attracts fingerprints. The darker the colour, the worse the effect is. Users may find themselves constantly cleaning the 3DS. Of course, this issue may help spawn a new market for third party cases and protectors. At first glance, there doesn't appear to be any other obvious differences. Delving deeper, it is clear that Nintendo have made numerous changes under the hood. 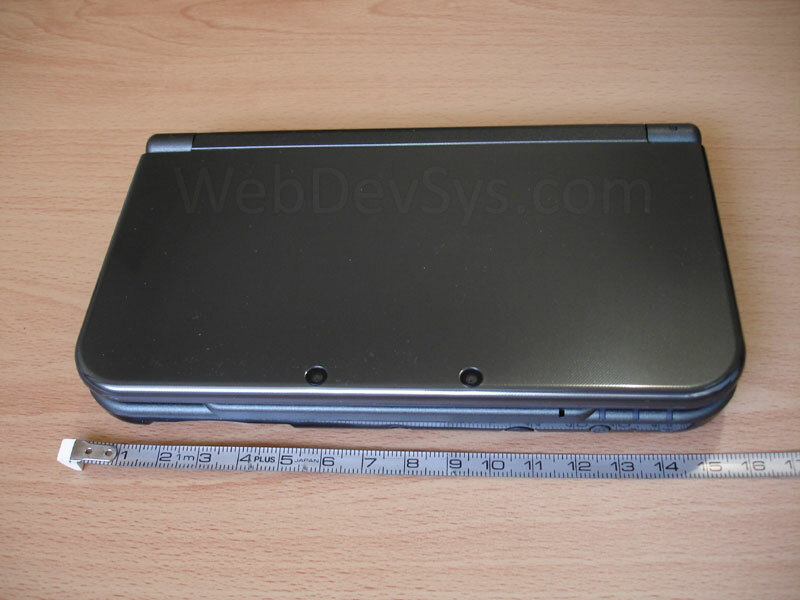 Size wise, the n3DS XL is almost identical to the old 3DSXL, albeit a few millimetres longer. 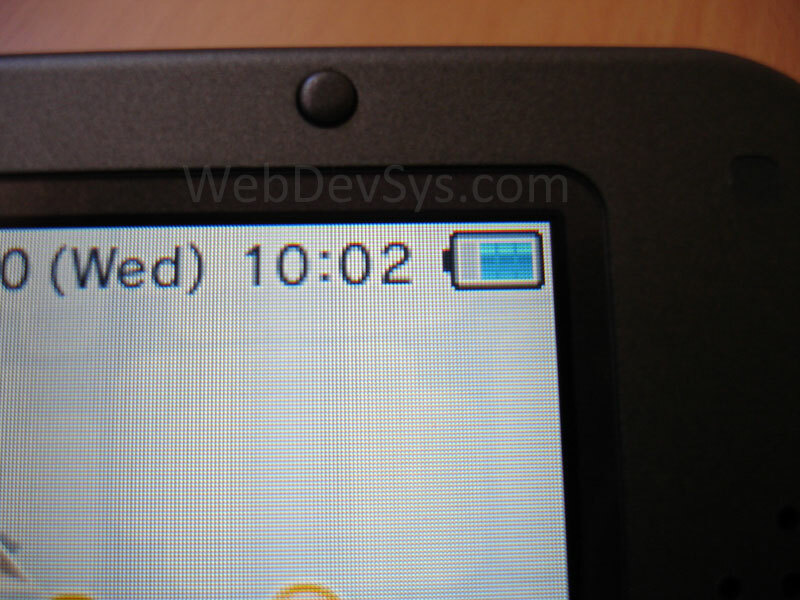 The top screen, whilst retaining the same resolution and pixel density as the old 3DS, still has improvements. The clamshell design has detents, so the top screen will open and click to 120, 170 and 180 degrees. Here it is pictured next to a Google Nexus 7 (2013). When fully open, it is only somewhat larger than a 7-inch tablet. For users who use it mainly at home, the XL's larger size is no problem. The volume slider has been moved up to the left of the top screen, where it is more easily accessed. The stylus is stowed by slotting it into a hole located at the front. 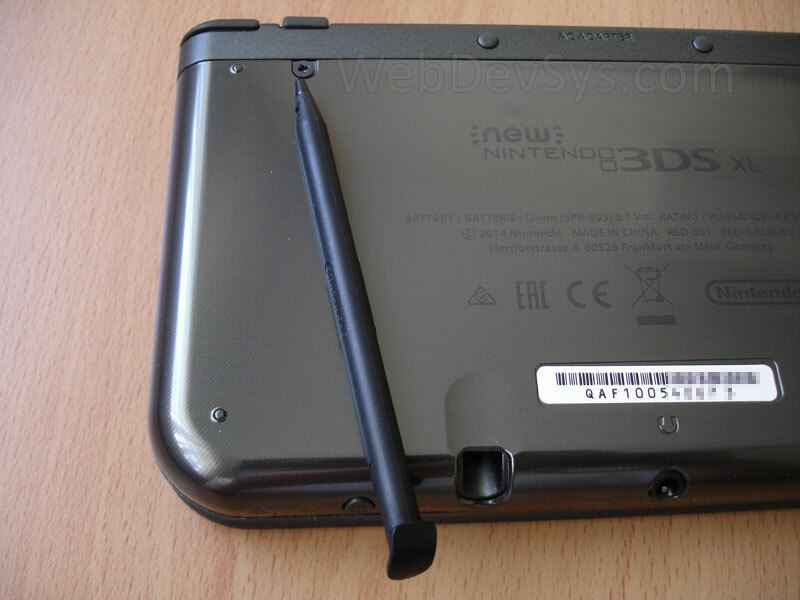 Like its predecessor, stylus on the n3DSXL is non-retractable (in other words, a fixed length). As with the old 3DS, the lower touchscreen is of the resistive type, so fingers or any other object can be used to press items on the screen. The stylus only needs to be used for precision aiming (or to prevent a build-up of fingerprints on the screen). The 3D effect is stabilised with the help of the front camera, which uses facial recognition to track the position of the player's eyes. 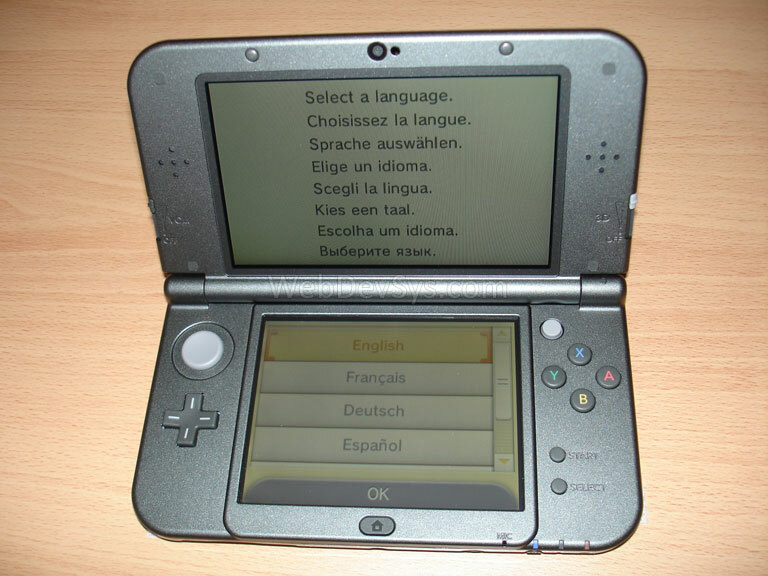 With previous versions of the 3DS, players needed to hold the console at just the right angle, just the right distance and just the right position. Even then, due to its handheld nature, there was inevitably wobble that causes the 3D effect to be destroyed by crosstalk and double images, giving that dreaded feeling of being crosseyed. Most players simply left the 3D effect turned off to save themselves from the hassle. The new 3DS' face tracking automatically and continuously adjusts the 3D parallax barrier mechanism to ensure the 3D effect remains stable in relation to the position of your face. 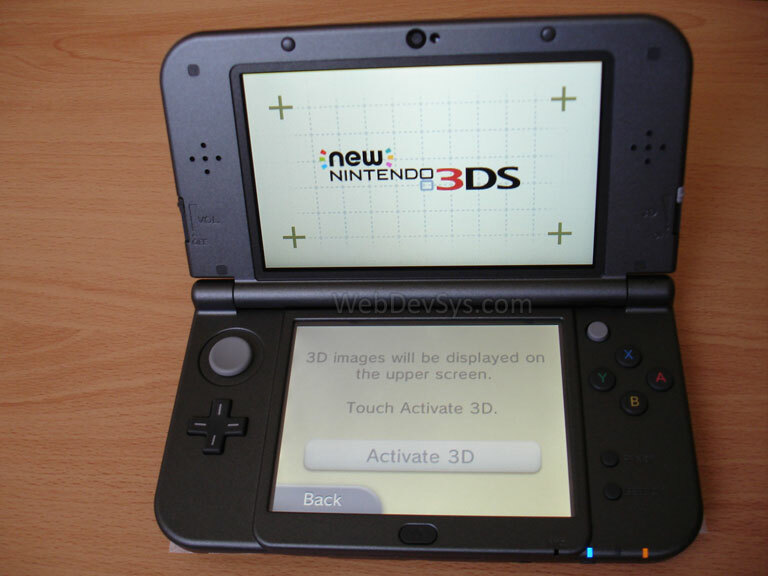 Users moving from the old 3DS to the new will feel like the new 3DS has a huge 'sweet spot'. 99% of the time it works well enough to avoid losing 3D effect when moving around (so long as your face is being tracked by the camera). In dim lighting, the n3DS uses an infra-red illuminator so the camera can still see the player's face, but without the glare of a normal light. The 'super stable' 3D system allows the player's head to move around and still achieve a 3D effect, rather than needing to be fixated to a 'sweet spot'. The stabilised 3D is not a distraction anymore. It is no longer the gimmick it used to be. It wow works so smoothly that players no longer need to concentrate on keeping their head in sweet spot, so they can focus on immersed themselves in the game. It now works the way it *should* have worked all along! The addition of a new 'nub' C-stick near the ABXY buttons and the ZL/ZR buttons obviates the need for the Circle Pad Pro accessory. The C-Stick is based on the very same technology as used in the IBM (Lenovo) ThinkPad's TrackPoint. Therefore the C-Stick doesn't actually move around like a circle pad when pushed, but the gameplay still responds to it like an analogue joystick. More pressure equates to pushing the 'virtual joystick' further. Because it doesn't move, the C-stick doesn't feel as ergonomic as a proper circle pad (as seen on the circle pad pro accessory). But Nintendo had to keep the size down, so the compromise was a trackpoint. It is called the C-stock because it takes its heritage from the N64's C buttons (which were originally designed for camera control). As such, it is not intended as a primary input. The Start and Select buttons have been moved away from the bezel of the lower screen, and now sit below the ABXY buttons. Unlike smarphones and tablets, the new auto-brightness feature seems to be quite rapid, almost to the point of being abrupt. The screen brightness will begin to change within a second of changed lighting conditions, wheras phones and tablets will gradually adjust their screen brighness. 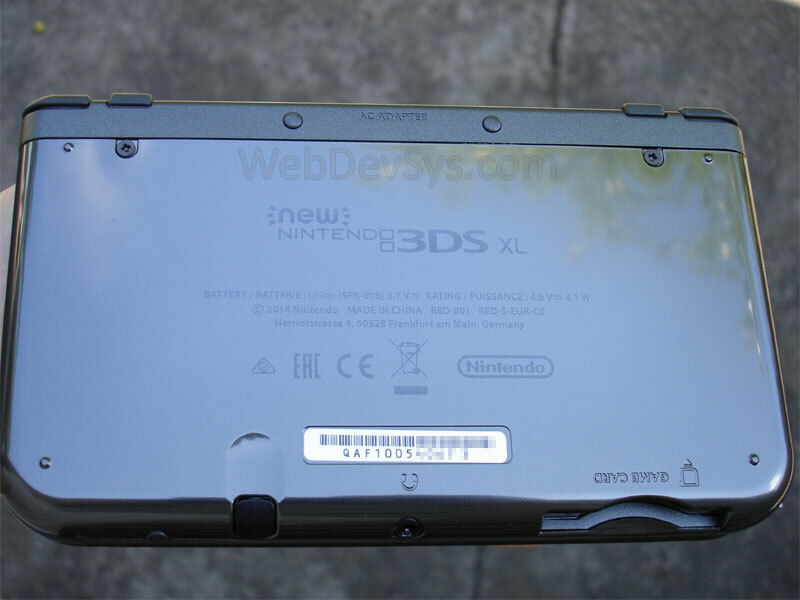 The new 3DS incorporates a beefed up CPU. 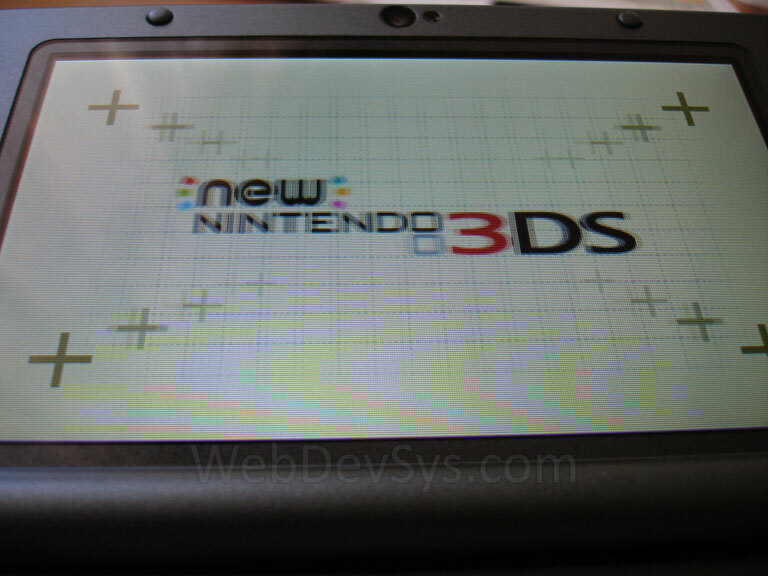 At the time of release, no titles were available that take advantage of the improved CPU in the n3DS. At least one upcoming 2015 title has been announced though. Despite the increased processing power, the new 3DS seems to operate in compatibility mode for current 3DS games. Which means those games that had framerate lag will not see improvements. 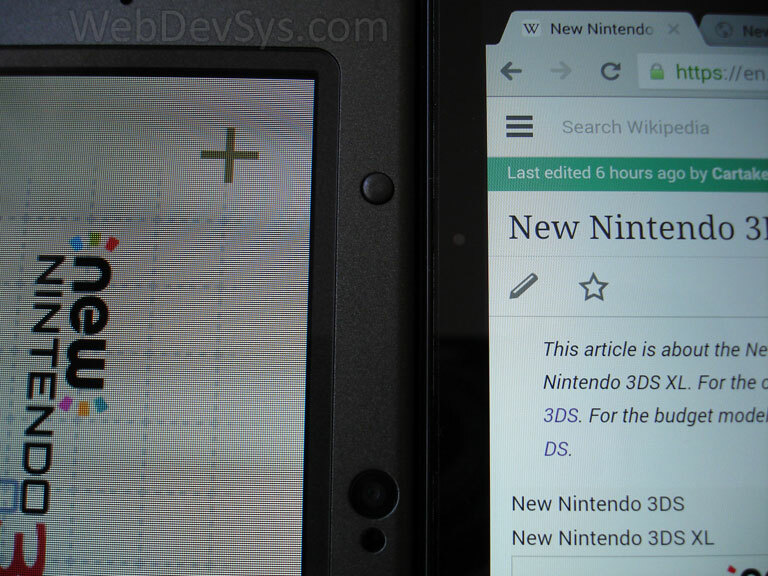 It appears that new titles will need to be specifically designed for the new 3DS CPU to fully take advantage of it. Web browser, faster wifi. youtube 3d videos now play smooth. 3D activation screen. This is where the user first gets to see the stereoscopic effect. The next few steps also instruct the user on how to adjust and turn the 3D effect on or off. When viewed off-angle, the autosteroscopic effect fails. n3DS consoles come about 80% charged from the factory. It's enough for two or three hours of use, before users who didn't have an existing charger to realise they need to head back in store to get one. 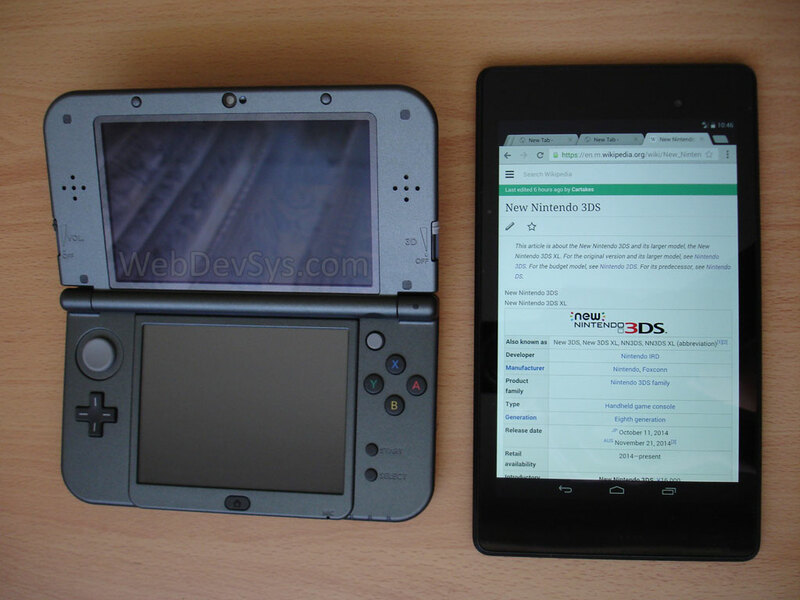 Here is a comparison between the 3DSXL's 95.6 PPI (pixels per inch) screen and the Nexus 7's (2013) 326 PPI screen. Note: due to the camera used to take this photo, a Moiré pattern (the wavy lines) appears to make the screen look worse than it actually is. In this day and age, it seems almost criminal to still be putting to market a device with such dismal displays, especially with a faster and more capable CPU/GPU. Nintendo may have their reasons, such as 'backwards compatibility' or cost. Some have commented that it feels like viewing a scene through a flyscreen. Others had no problems becoming accustomed to the lower resolution screen - probably just a matter of personal preference. 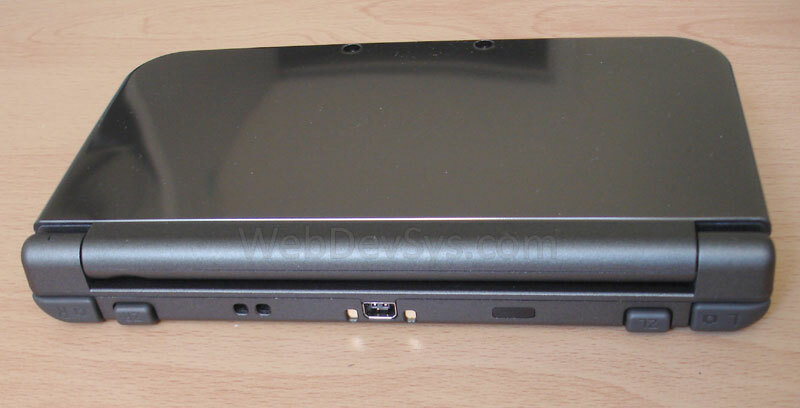 The new 3DS no longer has a hardware WiFi switch. The WiFi can still be turned on or off through the system menu. Users now need to remove bottom faceplate to access the micro-SD slot. To do so, two small philips head screw need to be loosened. As the XL is targeted more to older children (and somewhat adults), this shouldn't be too much of an issue. The screws are captive, so there is little chance that kids will lose them. Using screws to fasten the cover may prove to be a nuisance for those to frequently swap MicroSD cards. Supervision is highly recommended, although Nintendo couldn't mention this enough - the user manual is littered with warnings about supervision and parental guidance. The saving grace is that Nintendo now ships the unit with a 4GB card, whereas the original 3DS only had a 2GB card. Users upgrading from the 'Old' 3DS will note the inability to use their existing SD card, because the n3DS uses micro-SD cards. Some users will have bought higher capacity SD cards to replace the smaller one that the old 3DS came with, but will be unable to use it in the new 3DS. The wrist strap cannot be installed if the console is to be charged in the new charging cradle. For some strange reason, Nintendo decided to put the wrist strap hole on the back (next to the charging socket). Some people will find the stylus unconfortable to use. The top of the stylus is actually designed as a wedge to help remove the back cover plate, and may get in the way of fingers or knuckles, depending on how it is held and the size of the user's hands. As with the old 3DS, using the autostereoscopic feature can take getting used to. It amazing that it even works, by showing a slightly different image to each eye (via a parallax barrier). Mentally, your brain tells you to focus on the surface of the screen, but the 3D objects seem to be closer to (or further away from) your point of focus, depending on the 3D objects shown. It can have effects ranging from viewing a world through a window, through to items popping out of the screen at you. After playing a session, some people may need to take time to re-adjust to the normal world. Unlike the smaller standard 3DS, the XL (even the old one) is not able to utilise custom or novelty faceplates. 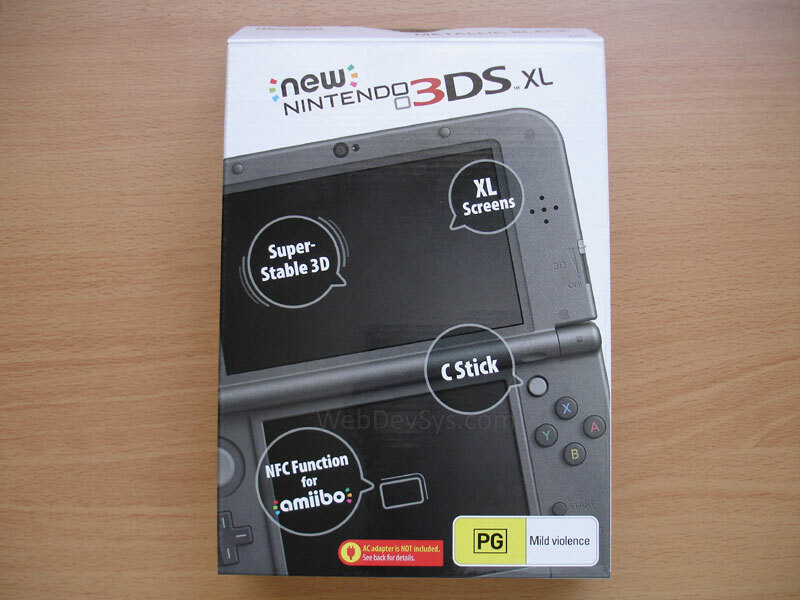 It is rumoured that the reason why new 3DS was released first in AUS/NZ is due to insufficient stock levels for a worldwide release. The average population density in Australia is quite low compared to other countries, so Nintendo chose to release it here first. Stock levels could also struggle in the leadup to Christmas 2014. Nintendo will be stockpiling units ahead of the US and Europe releases in order to keep up with demand. Overall, the new 3DS may be a worthwhile upgrade for owners of the old 3DS. The vastly improved 3D tracking is almost enough to justify upgrading. If you've owned a 3DS for two or more years, it is worthwhile upgrading (better battery life, faster load times, etc). If you're one of the unfortunate ones who purchased an old 3DS shortly before the n3DS came out, and are tight on cash, you may want to wait until Nintendo announce a limited edition of the n3DS. Most game shops will do trade-ins, but may only offer half the value back for an old 3DS. 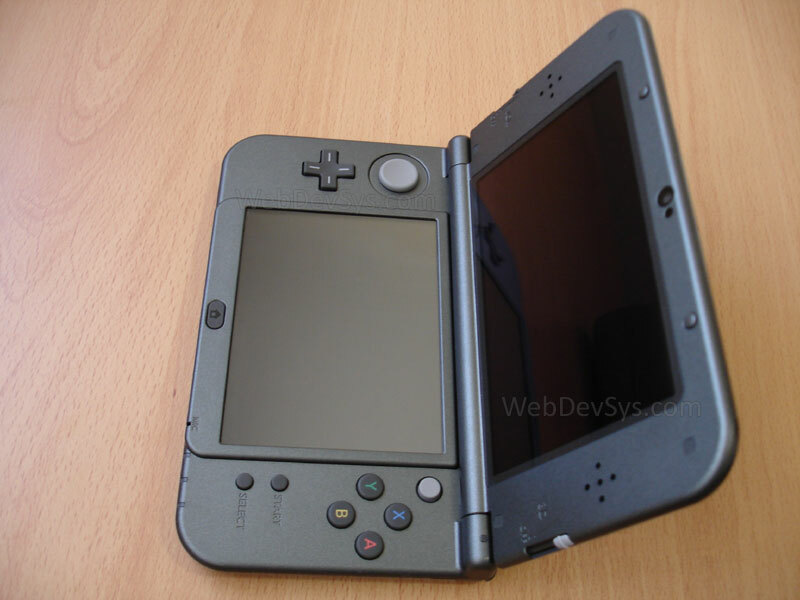 It may be more profitable to sell an old 3DS console on eBay rather than trading it in. The omission of an AC adapter could backfire for Nintendo (chargergate?). It is always possible they are testing the waters in Australia before doing the same for their US and European releases. If there is significant backlash in Australia, they may rethink their plans for US and Europe releases to avoid alienating potential customers. On the other hand, they may be trying to be 'Green' to reduce wastage. The assumption is that any potential buyer of the n3DS will have at least one charger lying around, so including yet another power adapter constitutes to wastage.